Over the last few weeks I have been writing my first Android app in Java (more details will come once it released – hush hush right now). 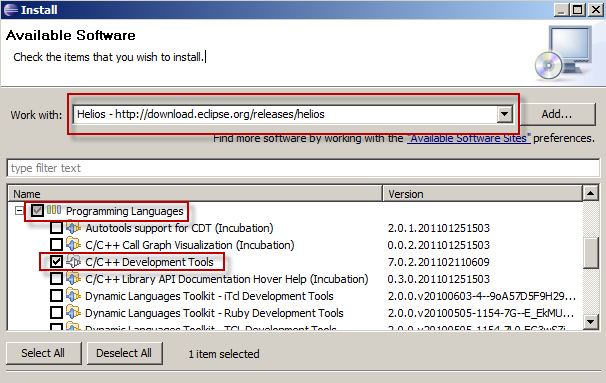 While Eclipse has improved a lot since I last used in (back in 2003 or so), I have found the experience reasonably frustrating coming from the nicely polished Visual Studio 2010. While most of these things are just a matter of switching from KoolAid back to plain old rusty tap water, there’s one thing that bites me time and time again – different key mappings! 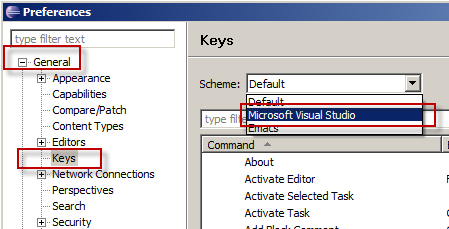 Fortunately, it’s actually pretty easy to change your mappings to be more “Visual Studio” like. If you have ever written anything in Python, I am sure you have stumbled across the immensly useful “SetDefault” method. Chances are if you came here via search, you know what this means, jump to the implementation – if not, read on. This code would check to see if there was already a list associated with the key “left” in your collection. If so, it would add the childNode to it; otherwise, it would create a new list and then add the child node to that list. Now, if you use the namespace you’ve given the class all objects that implement IDictionary<TKey, TValue> will now support the .SetDefault method. For what it’s worth, SetDefault is a weird name, but I’ll stick with conventions. Microsoft Parallel Extensions – Hard”core” code made easy! Ok, so I must admit that I was a little disappointed last night. I was really looking forward to implementing a threaded Consumer / Producer to try and take advantage of our 16 core datawarehouse server. Instead, I ended up changing one line of code – welcome to the world of Microsoft Parallel Extensions. At my work, it’s really important for us to be able to detect if people are sharing their accounts. We do this via storing a permanent cookie on the users machine with a “Machine ID” (a guid we generate). When they log in from that machine, we log the id so we know the user was on a particular machine. The more machines, the more likely they are sharing their account. This worked well, apart from the fact that people tend to clear their cookies, leading to an artificial rise of “Machine IDs” over time. Three years ago, I came up with an algorithm to find out how to work out what machine IDs were due to cookie clearing, and what ones weren’t. So I don’t bore you to death with the details, I will leave that for another post. This was going through around 60,000 users and 4mil+ records and running a pretty complex algorithm on them. It took around 10 minutes to run, but when I looked at the performance monitor, I noticed that the total CPU usage rarely got over 4% and that only one CPU process spiked – hmm, a common sign that threads would help 🙂 One of my pet hates is having to write really complicated and unintelligble code just to “increase” performance, and threads, not matter how hard you try, always end up looking ugly! Some neuron at the back of my brain started firing, and I got this feeling that I knew a better way. F# – nope, that’s not it – would be helpful, but it would take me a long time to convert everything into Functional Programming. A quick google search bore fruit: this article I read Microsoft Parallel Extensions library back in 2007! Microsoft are now planning on releasing this as part of .Net 4.0; but a CTP for 3.5 still exists. It was that simple! Voila, multi-threading code. If you want more control over the threads created, you can use the TaskManagerPolicy object – a simple way to do this is outlined here. Caveat: You’re code inside the loop has to be thread safe – since none of my code was modifying shared objects, this wasn’t a concern for me. Beautiful! The task now takes under a minute instead of 10. MarketClose Twitterobot – Step 1: Yahoo! So, I am a recovering stockoholic. I’ve been out of the markets for about 2 years now, but I am still facsinated by their daily fluctuations. I found myself hovering over the address bar and habitually typing finance.google.com to find out what was happening. But that only satiated my fix when I was firefox. So, I added the keyword “stocks” to slickrun so I could quickly open up finance.google.com from anywhere. 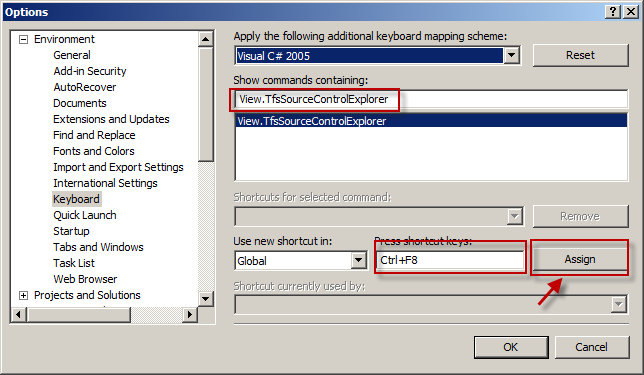 Bah – too many keystrokes – I used winkey to assign it to Win+C. But what to do before 10am? I started checking the future markets before getting to work. It was too much – I had to go cold turkey! I changed Win+C back to being a command prompt, and re-aliased stocks to take me to proggit. I decided that instead, I would write a simple C# program to send me the stock price at the end of the day. I’ve been meaning to play around with the Twitter API for a while now, so it finally gave me an excuse. However, before the fun started, I first had to get the data. The s query string parameter defines the tickers you want to retrieve (separated by spaces) and the f defines what fields you want back – you can find a listing of all those commands here.